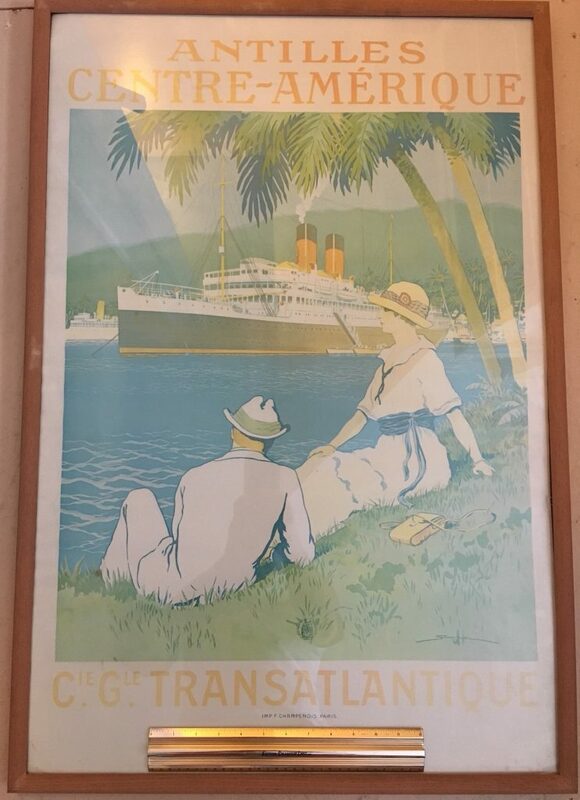 Nicely framed reproduction agency print for the French Lines little Flandre in the early 1920’s. typical toning and a little moisture blemish. This poster is from my pal Peter Knego’s personal collection. I will have the quote shipping for this item specifically … the site shipping calculator will not be accurate.